Everyone knows what Garlic is. It is surely one of the most beneficial foods/medicines on Earth. 'External. Stimulant and rubefacient. 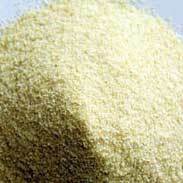 Garlic poultice, like that of the onion, may be applied with benefit in acute respiratory and abdominal inflammations. Applied to the feet it has been successful as a revulsant in brain and cerebro-spinal disorders of children, associated with convulsions. 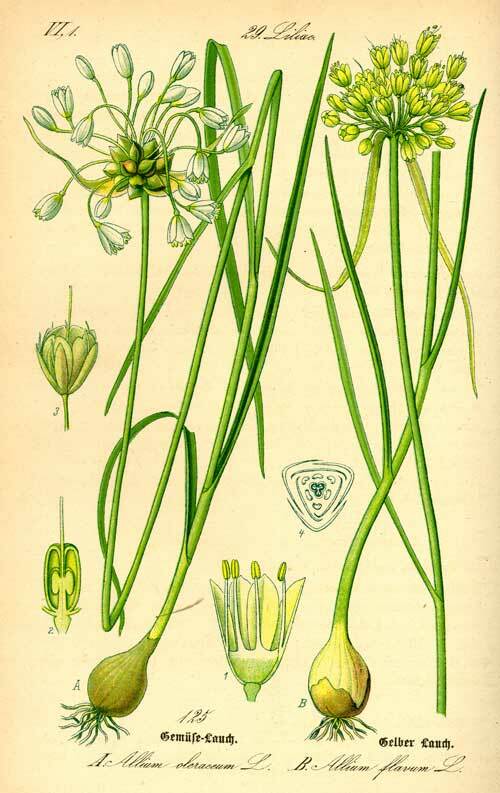 The British Herbal Pharmacopoeia (BHP) describes the actions of Garlic as 'diaphoretic, expectorant, spasmolytic, antiseptic, bacteriostatic, antiviral, hypotensive & anthelmintic'. It says it is indicated for 'chronic bronchitis, respiratory catarrh, recurrent colds, whooping cough, bronchitic asthma and influenza'. The BHP suggests combining it with Lobelia in bronchitis and asthma and with Echinacea in conditions associated with bacterial or viral activity. It recommends a dose of 2-4 grams or a tincture at 1:5 in 45% ethanol at a dose of 2-4 mls. 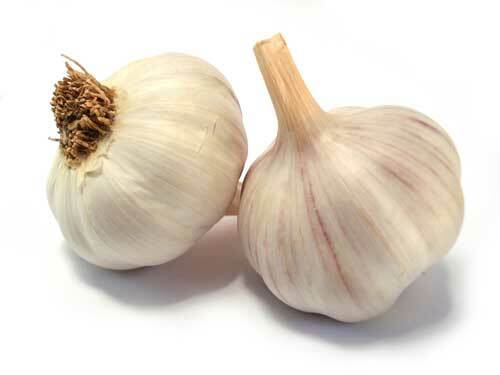 Garlic is a potent immune system tonic. Garlic is a natural antibiotic and antiseptic, especially effective in treating infections of the digestive and respiratory systems. Garlic directly destroys harmful bacteria, fungi and viruses and at the same time it enhances the body’s natural immune defences. Garlic lowers high blood cholesterol. 16 clinical studies with almost a 1000 patients showed garlic lowered harmful blood cholesterol with as little as ½ to 1 clove a day. Garlic lowers high blood pressure. 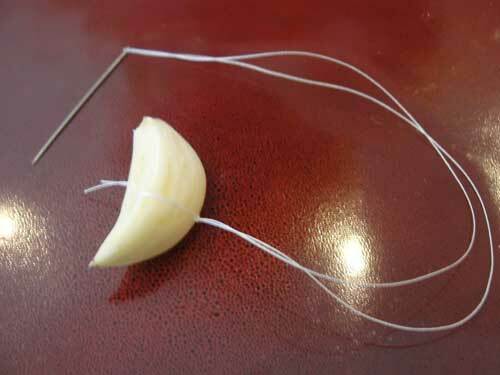 Garlic makes the blood less sticky and improves oxygen carrying capacity. 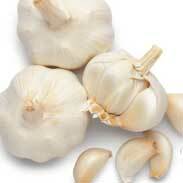 Garlic reduces the clotting activity of blood platelets and decreases the clotting precursor fibrinogen. Blood that runs freely is vital for the transport of oxygen and nutrients. ‘Sticky’ blood is thought to contribute to many cardiovascular, immune and metabolic problems. The above are just a few of the proven benefits of Garlic. For anyone that would like to explore some of the research further, there are the titles, authors and when and where published notes on something approaching 700 different studies linked in a PDF here! Garlic is extremely safe for human consumption and has been used in clinical trials for up to 7 years with no reports of toxicity or adverse reactions. It can be a bit smelly and, as it says in the BHP, only small doses should be given to small children. Garlic is both food and medicine and can be recommended to anyone. It is clearly a true tonic if used consistently. 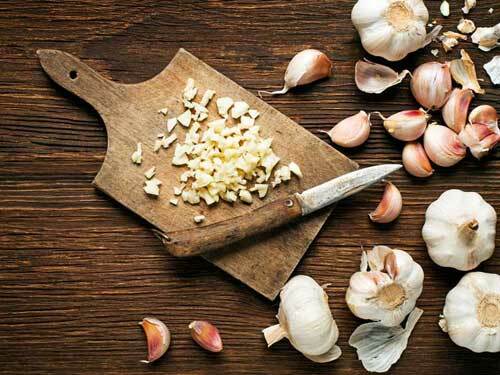 Aged Garlic extracts are good for sticky blood and cardiovascular health but for immunity and infection Garlic has to be fresh to be at its best. When you cut or crush Garlic it releases substances that have profound antimicrobial and therapeutic action but those substances quickly degrade after the garlic has been broken open. 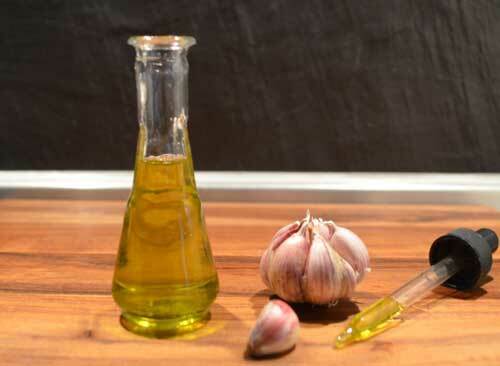 Here are four ‘recipes’ using fresh Garlic that I have found to be consistently effective. Women who have been plagued with vaginal thrush or bacterial vaginitis know how heart-sinkingly difficult those problems can be, especially when pharmaceutical options haven’t worked. 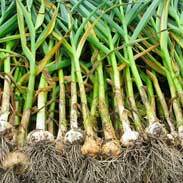 However, there is a treatment using Garlic that can still succeed where other measures have failed. I first learned of this from Dr Nicky Baillie, a wonderful GP herbalist working out of Auckland, New Zealand. She said that she gets funny looks from women when she tells them how to do it (I can vouch for that too) but that it really works. She’s right, it does. ~ The next night you have to take an actual tampon, slightly wet it so that it absorbs lots of powder, then roll it in a probiotic (healthy bacteria) powder and also insert and leave overnight. ~ On the third night you repeat the garlic process a second time exactly as you did the first. ~ On the fourth night you repeat the probiotic on the tampon just as you did the first time. A third round is often not necessary but may be used if a problem has been long standing and very difficult to shift. Take a break from the treatment now for at least a few days and see how things go. Most women respond very quickly to this treatment although they may still need to repeat it periodically from time to time if the symptoms start to return. ~ Take three medium-sized cloves of Garlic; peel them and then either chop very finely or put through a garlic-crusher into a small container such as a tea-cup. ~ Put approximately 50mls (2-3 ounces) of Olive oil into a small saucepan and heat on a stove until it is very hot but not boiling and then pour over the freshly chopped or crushed Garlic. ~ Cover this mixture and now allow the garlic to infuse into the oil for at least 1 hour before first use. The preparation will stay strong and usable for 48 hours i.e. 2 days. ~ Clean a dropper by putting the glass end into a cup of freshly boiled water and then draw up and squirt out the hot water several times before use. Take the clean dropper and draw up approximately 4-8 drops of the garlic oil directly from the container where the garlic is still infusing. ~ Place the drops directly into the infected ear. Depending on the patient's age and the size of their ear canal anything from 4 to 8 drops is usually sufficient. ~ Once the oil is in, turn the head to one side to let gravity help the oil soak right into the infected area and keep it there for at least 5 minutes. ~ You can gently put a small wad of cotton wool just inside the ear to catch any oil that comes out or you can also use a q-tip to very gently clean the ear after treatment. Olive oil does not go rancid and will not support further bacterial growth (it has even been used by itself for ear infections in some traditions) so it will not matter if some if it remains inside the ear between treatments. ~ Repeat this treatment as often as needed. If the infection is very bad then keep dropping in the earbiotic oil every 1-2 hours. The condition will usually improve rapidly and you can lessen off the frequency but you should still keep regularly treating the ear at least once a day for a week after all symptoms have disappeared as ear infections can be notorious for coming back again! Using the earbiotic cold can make it a painful experience. Unless your home or climate is already very warm it will be preferable to use the oil at body temperature and you can easily do this by putting the strained oil into a small dropper bottle and then warming it to body temperature by either holding it in your hands for a while or just by keeping it near to your body in a pocket. Just as cold can make the pain of an ear-infection worse you may find that your child gets some relief from having some heat up against their ear such as can be obtained from a heated wheat-bag. This is to kill worms, fungi and bugs that have taken up lodging in the gut. One or two pieces of good, wholegrain toast, the grainier the better. This is insanely strong but after years of experimenting on myself and others this is the method that I have found that enables the maximum dose of fresh garlic with maximum pleasure. Plan B is to make a bowl of Guacamole with equally ridiculously large amounts of Garlic, then eat it. Note that the subject of bad bugs and what to do to get rid of them is covered in much more detail in my article on dysbiosis here. This one is for fungal infections of the feet. Take one large whole bulb of Garlic (that means the whole thing, don't peel it, don't remove the outer layers) and put the whole thing through a kitchen blender with about a litre of warm water or as much as you need to soak your foot or feet. You need to soak your foot or infected toes for a good 20 minutes, and you need to be prepared to do this two to three times a week for as many weeks as it takes to clear the infection. Fungal infections of the feet are famously hard to treat but this treatment should work if you persist with it. Be careful to check your skin for any sign of being 'burnt' by the Garlic water. If this happens there will be no lasting damage (you can be sure that there will be much more harm to the fungi than to you) but you should reduce the time you spend in the foot bath rather than the amount of garlic in the mixture.